Do you Play Wartune? Join GameHunters.Club our members share free bonus, tips, guides & valid cheats or tricks if found working. GameHunters.Club is a Fan Site and is not endorsed by or affiliated with Wartune. All Trademarks are the property of respective owners. If you love this game, support it by purchasing premium items in the game or follow the official Wartune social media channels. GameHunters.Club is a platform for gamers who loves to share. Join us and be the first to post here about Wartune. There is no registration required. Login with Facebook to start posting. Join the Forum, Discuss anything about Wartune. You can talk about tips, tricks, cheats, ask for help or simply introduce yourself to the club. These are the most recent topics and posts on Wartune Forum. Do you know any of this topics? Help players by posting about this topics on Wartune Game Post section. Thank you for all of your opinions about the gratitude letter in the last event! We have seen much kindness from all of you. Then, as you know, next Thursday will be Thanksgiving Day. What will you do for those you love, to show them how much you appreciate having them in your life? Choose from the options below. #NewServer Server 613 Launch Announcement Wartune's 613 Server is open today! Launch Time: 05:00, 15th November 2018(PDT) To celebrate the launch of Server 613, Wartune Team has already prepared various activities in severs to help you to dominate the in-game world. Wonderful activities, fantastic gifts are waiting for your participation! Join us quickly and gain more surprises and friends! #Maintenance01 Nov.15th All servers listed below will go offline for maintenance from 01:00 to 03:00, 15th November 2018. (PDT), lasting for 120 minutes. Please leave the game in advance before maintenance or update time to avoid unnecessary loss. If there is an emergency that causes extension of the downtime, we’ll announce separately then. We are sorry for the inconvenience and thank you for your understanding and support. Patch Notes: 1. Optimized server conditions. : #Maintenance02 Nov.14th Dear players, There is an emergency maintenance at 6:00 PM PST on November 14th for some servers. Following servers will be down for some hours but could be shorter or longer. Please keep an eye on this thread for any updates or changes. We sincerely apologize for any inconvenience it might cause. List of Servers: S3,S11,S21,S22,S24,S32,S36,S37,S41,S42,S43,S44,S46,S47,S48,S50,S51,S52,S54,S57,S58,S59,S60,S67,S70,S71,S74,S76,S82,S85,S87,S89,S90,S91,S92,S96,S109,S113,S115,S122,S124,S131,S136,S148,S156,S161,S166,S169,S172,S181,S199,S204,S205,S211,S212,S256,S257,S258,S262,S263,S264,S265,S266,S267,S268,S269,S270,S271,S272,S273,S274,S275,S278,S321,S322,S324,S325,S337,S339,S340,S341,S371,S373,S375,S376,S377,S378,S379,S386,S592,S597,S601,S602,S603,S604,S605,S606,S607,S608,S612, Note: Due to servers being down for daily reset, some events may not reset until the following reset. Thank you for your understanding and support! Double 11 - Single Dog Day in China Today is November 11th! The double 11/11 is a pretty special day in China and it’s famous for its deals and offer, kind of like Black Friday. Do you know why? November 11th is a big shopping day in China and other countries, it is called the Single Dog Day. At first, it was used as a mockery for the young men who were single! But it evolved to represent the opposition to the traditional idea of people having to marry by force. People can be happy, married or not! “One” can mean single, and 11/11 looks like 4 single people together! Are you single and happy? Or are you married and happy as well? Let us know in the comments! #Maintenance Nov. 8th All servers listed below will go offline for maintenance from 01:00 to 03:00, 8th November, 2018. (PDT), lasting for 120 minutes. Please leave the game in advance before maintenance or update time to avoid unnecessary loss. If there is any emergency that causes extension of the downtime, we’ll announce separately then. We are sorry for the inconvenience and thank you for your understanding and support. Optimization: 1. Fixed the issue with Cornucopia rewards. 2. Fixed the issue with collecting rewards in Guild Treasure for some players. #Event November Theme - Gratitude Event01 Today, the Goddess of Hope Llliya sent us a letter. It says: If you could send an anonymous letter to someone to tell them how grateful you are to them, who would you send it to? Leave your answer in the comments below and we will pick 10 players to send a small gift. #Announcement Dear players, There is an emergency maintenance at 6:00 PM PST on November 7th for some servers. Following servers will be down for some hours but could be shorter or longer. Please keep an eye on this thread for any updates or changes. We sincerely apologize for any inconvenience might cause. List of Servers: S2,S4,S5,S17,S18,S19,S20,S25,S28,S33,S49,S53,S55,S56,S61,S64,S66,S68,S78,S86,S88,S93,S94,S98,S99,S100,S104,S108,S120,S125,S127,S128,S133,S134,S137,S138,S139,S140,S141,S143,S146,S147,S149,S150,S151,S154,S155,S157,S158,S162,S170,S174,S180,S186,S189,S190,S191,S195,S196,S200,S201,S202,S206,S207,S208,S213,S214,S215,S216,S217,S218,S223,S228,S230,S231,S232,S233,S234,S235,S236,S237,S238,S239,S240,S241,S242,S244,S245,S246,S248,S250,S251,S252,S253,S254,S255,S259,S260,S261,S276,S277,S279,S280,S281,S282,S283,S284,S292,S293,S294,S295,S296,S297,S298,S299,S300,S301,S302,S303,S304,S305,S306,S316,S317,S318,S319,S320,S323,S326,S327,S328,S329,S331,S333,S335,S338,S343,S344,S347,S348,S349,S350,S351,S352,S357,S358,S359,S360,S362,S374,S380,S381,S382,S383,S384,S385,S388,S389,S392,S399,S400,S401,S402,S514,S523,S524,S525,S526,S527,S533,S534,S535,S536,S537,S538,S539,S540,S541,S542,S546,S547,S548,S549,S550,S551,S552,S553,S554,S555,S556,S557,S558,S561,S610,S611 Note: Due to servers being down for daily reset, some events may not reset until the following reset. Thank you for your understanding and support! #ServerMerge Nov. 7th Beginning at 01:00 AM (in-game time). Servers to be merged are: 601-602-603-604-605-606-607 will be merged together. In order to avoid the loss of any character information, please refrain from making any new characters on these servers until after the merge has been completed. To help with potential name conflicts, we will be removing unused characters. Please note that we will be changing server times for PDT servers to accomodate the end of Daylight Saving Time and switch to Standard Time. Time changes are as follows: PDT Servers: Sunday, November 4th 0:30 PDT All PDT servers will be going down for maintenance starting November 4th at 0:30 PDT, lasting for approximately 2 hours. We apologize for any inconvenience this may cause. Thank you for your understanding and support! Enjoy Wartune. Hope you had you a good weekend! It's time to reveal the November theme - Thanksgiving! As all of you know Nov. 22nd is Thanksgiving Day. Let’s celebrate together! Happy Halloween Eve! Be careful the pumpkins and the shadows, nothing is what looks like in this scary night! We hope you have lots of fun with your family and friends! Share your Halloween plan or experience with us, and we will choose 10 players to send Halloween gifts! Hello guys,i'm Jackson. How do you feel about my events of this month on Halloween? I know you want me to come to the server you are, but I'm sorry I can't take care of each of you. But i promise you,i will try my best to go to every server where you are. So please tell me your feeling about the event this month so that i can make more event you want in the future,your feedback is valuable,thank you very much. #Maintenance All servers listed below will go offline for maintenance from 01:00 to 03:00, 1st November, 2018. (PDT), lasting for 120 minutes. Please leave the game in advance before maintenance or update time to avoid unnecessary loss. If there is any emergency that causes extension of the downtime, we’ll announce separately then. We are sorry for the inconvenience and thank you for your understanding and support. Optimization: 1. Optimized server condition #NewServer Server 611 Launch Announcement Wartune's 611 Server is open today! Launch Time: 05:00, 1st November, 2018(PDT) To celebrate the launch of Server 611, Wartune Team has already prepared various activities in severs to help you to dominate the in-game world. Wonderful activities, fantastic gifts are waiting for your participation! Join us quickly and gain more surprises and friends! #Announcement - Notice of Cornucopia Rewards Issue Dear Lords, We have noticed that Cornucopia rewards were not sent to some of you due to a system cause. We apologize for the inconvenience caused. Players who did not receive the rewards during the event will be compensated. Please check your mail for Compensation. We apologize once again. Thank you for your participation. Only 4 days for Halloween! Are you already celebrating? Do you celebrate Halloween in your country? Show us some pictures of your Halloween decorations! #Jackson Hello everyone,is me Jackson again,hope you guys are looking forward to my appearance.Cause Halloween is coming and i prepared some surprise to you my friends.So from 26 to 31 October,i will show up in the game between different servers,and i will raise some questions about Halloween,in World Chat or Private Messages(PM).Please message me with your answer and get the rewards,which are some precious items of Halloween exchange.Please tell which server you want me to go in the comments,hope to see you guys soon. Halloween is approaching! Lucky Exchange and Halloween Costume & Mount Carnival will begin on October 26th! The new Cornucopia will arrive soon! Now comes the time for players to find out the items scattered around the world! The Book of Wisdom is waiting for you! To know more about Cornucopia, please click: https://www.wartune.com/Guide/127240.html p.s: Click the link and you will discover something amazing! #Maintenance All servers listed below will go offline for maintenance from 01:00 to 03:00, 25th October, 2018. (PDT), lasting for 120 minutes. Please leave the game in advance before maintenance or update time to avoid unnecessary loss. If there is any emergency that causes extension of the downtime, we’ll announce separately then. We are sorry for the inconvenience and thank you for your understanding and support. Optimization: 1. Optimized server condition #NewServer Server 610 Launch Announcement Wartune's 610 Server is open today! Launch Time: 05:00, 25th October, 2018(PDT) To celebrate the launch of Server 610, Wartune Team has already prepared various activities in severs to help you to dominate the in-game world. Wonderful activities, fantastic gifts are waiting for your participation! Join us quickly and gain more surprises and friends! A lot of Halloween items are coming to Wartune! What do you think they are? The tips are in the picture. Have a look at the picture and tell us your answer!10 players who answer right will win rewards! #ServerMerge 10/24 Beginning at 01:00 AM (in-game time). Servers to be merged are: 601-602-603-604-605 will be merged together. In order to avoid the loss of any character information, please refrain from making any new characters on these servers until after the merge has been completed. To help with potential name conflicts, we will be removing unused characters. Only 11 days for Halloween! Do you remember the events of last year’s Halloween? Halloween costumes are indispensable items in Wartune. What do you think the costumes will look like this Halloween? Stay tuned to find out! #Maintenance All servers listed below will go offline for maintenance from 01:00 to 03:00, 18th October, 2018. (PDT), lasting for 120 minutes. Please leave the game in advance before maintenance or update time to avoid unnecessary loss. If there is any emergency that causes extension of the downtime, we’ll announce separately then. We are sorry for the inconvenience and thank you for your understanding and support. Optimization: 1. Fixed the issue where participants occasionally could not enter battle in Hero Trial and Imperial War. #NewServer Server 609 Launch Announcement Wartune's 609 Server is open today! Launch Time: 05:00, 18th October, 2018(PDT) To celebrate the launch of Server 609, Wartune Team has already prepared various activities in severs to help you to dominate the in-game world. Wonderful activities, fantastic gifts are waiting for your participation! Join us quickly and gain more surprises and friends! Today is World Food Day celebrated every year around the world on 16 October in honor of the date of the founding of the Food and Agriculture Organization of the United Nations in 1945. Famine still stalks some places in the world. Cherish the food you have and never waste it. Let's try our best to help eliminate famine. Hahah, given a chance you can copy five Goddess in Wartune, who do you think it's the best to cosplay them respectively? Is she also the Goddess in your mind? #ServerMerge Oct. 10th Beginning at 01:00 AM (in-game time). Servers to be merged are: 601-602-603 will be merged together. In order to avoid the loss of any character information, please refrain from making any new characters on these servers until after the merge has been completed. To help with potential name conflicts, we will be removing unused characters. Goddess Skill Test Time! October is a theme month for Goddess, and you know it is SKILL this month. Here comes the first event - Goddess skill test! It's time to test your knowledge about the Goddesses. How much do you know about them? Write your answers in the comment below! We will choose the first 10 players who post correct information about the Goddesses. You just need to choose one Goddess and write down the skill information about her, but remember you have to be correct about all the items. Don't forget to leave your IGN and server! #Maintenance All servers listed below will go offline for update maintenance from 01:00 to 03:00, 8th October, 2018. (PDT), lasting for 120 minutes. Please leave the game in advance before maintenance or update time to avoid unnecessary loss. If there is any emergency that causes extension of the downtime, we’ll announce separately then. We are sorry for the inconvenience and thank you for your understanding and support. Patch Note: 1.Optimized server conditions. Today is World Teacher's Day! Let's show our gratitude to all the teachers who helped us to learn new things at school. Even if you left the school a long time ago, we are sure you remember some of your teachers. I would never forget my favorite teacher from high school, she taught me how to be a better person. How about you? #NewServer Server 607 Wartune's 607 Server is open today! Launch Time: 05:00, 4th October, 2018(PDT) To celebrate the launch of Server 607, Wartune Team has already prepared various activities in severs to help you to dominate the in-game world. Wonderful activities, fantastic gifts are waiting for your participation! Join us quickly and gain more surprises and friends! Hello October! This October will be very special one because our Goddesses will accompany you! The theme for October is: SKILL. Stay tuned to our Facebook page and don't miss any rewards! #Maintenance All servers listed below will go offline for update maintenance from 01:00 to 03:00, 28th September, 2018. (PDT), lasting for 120 minutes. Please leave the game in advance before maintenance or update time to avoid unnecessary loss. If there is any emergency that causes extension of the downtime, we’ll announce separately then. We are sorry for the inconvenience and thank you for your understanding and support. Patch Note: 1.Optimized server conditions. Today is World Tourism Day! Given a chance, when you are exploring the Wartune world you are in danger of being killed by monsters. Then a hermit shows up and he asks you: If you could only save one of the Goddesses and summon her power to help you out of danger, who would you choose? Tell us in the comment below which Goddess would you save and why! Here is the result: Congratulations to Lenneth, our Goddess of War! She will be the avatar of our fan page in October! #NewServer Server 606 Wartune's 606 Server is open today! Launch Time: 05:00, 27th September, 2018(PDT) To celebrate the launch of Server 606, Wartune Team has already prepared various activities in severs to help you to dominate the in-game world. Wonderful activities, fantastic gifts are waiting for your participation! Join us quickly and gain more surprises and friends! Hi,everyone,is me Jackson again.So far I have already launched several events and I'd like to know how about you guys think about them.Please tell me your ideas and suggestions in the comment,no matter good or bad,which can push me to make more better events for you guys.Looking forward to your words,thank you! Today is the International Peace Day. This September, the Goddesses arrived to Wartune to help you fight for peace. If you had the chance to be inside the game and work alongside one of the Goddesses, how would you bring peace to the world of Wartune? Tell us in the comments below! #NewServer Server 605 Wartune's 605 Server is open today! Launch Time: 05:00, 20th September, 2018(PDT) To celebrate the launch of Server 605, Wartune Team has already prepared various activities in severs to help you to dominate the in-game world. Wonderful activities, fantastic gifts are waiting for your participation! Join us quickly and gain more surprises and friends! #Maintenance All servers listed below will go offline for update maintenance from 01:00 to 03:00, 20th September, 2018. (PDT), lasting for 120 minutes. Please leave the game in advance before maintenance or update time to avoid unnecessary loss. If there is any emergency that causes extension of the downtime, we’ll announce separately then. We are sorry for the inconvenience and thank you for your understanding and support. Update about Patch 8.1 will be on all servers. Optimization: Fixed the display issue with Blitz. Cross-server Data #Maintenance Notice There will be a cross-server data maintenance for all servers starting from 19th Sept. at 7:00 PM PDT. Cross-server related features will not be available until the weekly maintenance is over. Login and other features will not be affected as server will not be down during this maintenance. Please wait until the weekly maintenance is over to enjoy cross-server features! We apologize for any inconvenience this may cause and thank you for your support! See you all in-game! #ServerMerge 9/19 Beginning at 01:00 AM (in-game time). Servers to be merged are: 562-563-564-565-566-567-568-569-570-571-572-573-574-575-576-577 and 578-579-580-581-582-583-584-585-586-587-588 will be merged together. 589-590-591-593-594-595-596-598, 599 and 600 will be merged together. In order to avoid the loss of any character information, please refrain from making any new characters on these servers until after the merge has been completed. To help with potential name conflicts, we will be removing unused characters. You have been telling us who’s your favorite Goddess in previous posts. Seems like Goddess of War Lenneth and the Goddess of Creation Llliya are very popular! Our new Facebook icon is Kassandra, and we want YOU to decide which one will be next October! Tell us which Goddess you prefer to see in our icon for October: Lenneth or Llliya! Goddess of Magic Hecate – Magical damage and healing are my best skills, the enemies will surrender before my power. The Goddesses' word for you have all been post. Let us know in the comments which one is your favorite! Leave your server and username, because we will pick up 30 players and send the rewards from the Goddesses. Goddess of War Lenneth – Warriors, take my power and keep fighting until the end! Goddess of Hope Asteria – I will bless my master and make my enemies suffer! Heroes, Jackson comes again and he'd like to bring event! From Jackson Hi everyone, Do you guys remember me? I'm Jackson. A few days ago, I sent a video telling you that I'm going to explore an unknown land. During the expedition, I found out this place is called the Demon Continent. And it's filled with monsters! But there's the thing. A Goddess is imprisoned in this terrible land. I must help her, but I can't do it alone. So I'm asking you for help. Help me free her! Rules: Event Time：9.14-9.18 1. Event duration: 5 Days 2. Collect the Goddess Shards in time to exchange. 3. Send a screenshot of the obtained Goddess in the comments below. Remember to leave your username and server. 4. The first 12 players（Depends on the sending time） to send the screenshot following the rules will receive a reward within 3 work days. Goddess of Fate Kassandra- With my music, I will increase the damage to the enemies and decrease it for allies! Do you want to hear my music? #NewServer Server 604 Wartune's 604 Server is open today! Launch Time: 05:00, 13th September, 2018(PDT) To celebrate the launch of Server 603, Wartune Team has already prepared various activities in severs to help you to dominate the in-game world. Wonderful activities, fantastic gifts are waiting for your participation! Join us quickly and gain more surprises and friends! Goddess of Creation Llliya - I will protect you increasing your Crit and healing effects. Would like to join me to create a new world in Wartune? The Demon Continent is a dangerous place... It has the beautiful Murmur Coast and also the Duskin Arena. The dark magic of this place has put the Goddesses in danger, you must complete the challenges in the Demon Continent and save the Goddesses! Collect enough Goddess Shards to summon the Goddess you want. In this strange land, you will also find Wave Crystals and Prayer Scripts to upgrade the Goddess’s skills. Attention, warriors! The new Wartune Patch 8.1 is online for beta test in some servers. As you know from the previous post, the Goddess of Hope will be the first goddess to meet you in the new update. But, what about the other four goddesses? Who are they? You will have to log in Wartune to find out! #Maintenance & #NewServer All servers listed below will go offline for update maintenance from 01:00 to 03:00, 6th September, 2018. (PDT), lasting for 120 minutes. Update about Patch 8.1 will be on Server 1, 13, 60, 72, 183, 320, 592. New Server 603 will be launched at 5:00AM 6th September, 2018. Tell your friends about this and join us quickly! Please leave the game in advance before maintenance or update time to avoid unnecessary loss. If there is any emergency that causes extension of the downtime, we’ll announce separately then. We are sorry for the inconvenience and thank you for your understanding and support. Optimizaiton includes: 1. Goddesses - Will the Goddesses ever make their return? The people of this land have yearned for their presence for too long. Take up arms and fight alongside Goddesses in an epic battle for honor and glory! May your Goddesses always protect you. 2. Demon Continent - This is a continent infested by demons. It has the beautiful Murmur Coasts, as well as the Duskin Arena that is filled with death and violence. And that's not all, demonic powers of this land entrap the Goddesses in an eternal slumber... It's time to embark on a journey to liberate the Goddesses! 3. Updated the loading art for the new version. 4. Fixed issues which caused Speed Clearance to occasionally not reset properly on Mondays; 5. Fixed issues which caused God's Marks' timers to not display properly in the Inventory; 6. Fixed some language issues. We have a winner! The mysterious woman’s nickname is Atlantis, thanks to the player’s votes! And finally we can tell you her identity. She is the Goddess of Hope - Elpis! The new version brings the Goddess System to all the Wartune warriors, she and four Goddesses more are ready for you in the game tomorrow in several servers! According to Greek mythology, Elpis was the goddess of hope that helped the people to reach their dreams. Are you excited to meet the Goddesses? Let us know in the comments below and stay tuned to our Facebook Page to not miss any updates! #ServerMerge Sep. 5th Beginning at 01:00 AM (in-game time). Servers to be merged are: 592 and 597 will be merged together. 589-590-591-593-594-595-596-598 will be merged together. In order to avoid the loss of any character information, please refrain from making any new characters on these servers until after the merge has been completed. To help with potential name conflicts, we will be removing unused characters. September is here! It’s so nice that the first day of September is Saturday and we can relax. It’s also time to participate in the Cross-Server battle in Wartune and obtain honor! Follow us on Facebook and not miss any rewards. Goodbye August, Hello September. Do stay tuned to our fan page to be updated with information about the game in September! At last, let's see the last post from our mounts! Hello warriors, did you find all the Artifacts in the video? The Artifacts Exploration Event is ended and we are preparing the rewards. Well, there’s more to explore! Watch the video again and wait for it... Did you see the woman that appeared at the end? Tell us in the comments below who you think she is and create a name for her! We will choose 10 players and send them rewards, so remember to leave your username and server. #Maintenance All servers listed below will go offline for update maintenance from 01:00 to 03:00, 30th August, 2018. (PDT), lasting for 120 minutes. Please leave the game in advance before maintenance or update time to avoid unnecessary loss. If there is any emergency that causes extension of the downtime, we’ll announce separately then. · #NewServer Wartune is going to open a new server: Server 602 New Server brings New Events https://goo.gl/PhkRo8 Check it out if you're looking for a new adventure! Opening Time: 05:00AM, August 30th, 2018 (PDT) We are sorry for the inconvenience and thank you for your understanding and support. Hello warriors! The Anniversary is about to end but our adventure never ends. We have a game for you today, explore and find the secrets in the Anniversary video! Check the video and answer the question correctly. The first player who answers correctly will receive rewards! Question: How many artifacts are shown in the Anniversary video? What's the name of these artifacts? Leave the number of artifacts, the artifact name, your username and your server! Remember, only such answer "number+artifact name" are valid for getting rewards. For artifacts, you have to tell the name that others don't list yet. Edited answer will be invalid. Only leave one artifact name, we won’t count you if you leave more than one! #Maintenance All servers listed below will go offline for update maintenance from 01:00 to 03:00, 23rd August, 2018. (PDT), lasting for 120 minutes. Please leave the game in advance before maintenance or update time to avoid unnecessary loss. If there is any emergency that causes extension of the downtime, we’ll announce separately then. We are sorry for the inconvenience and thank you for your understanding and support. Optimizaiton includes: 1.Optimized server conditions. #NewServer Server 601 Wartune's No.601 Server is open today! Launch Time: 05:00, 23rd August, 2018(PDT) To celebrate the launch of Server 601, Wartune Team has already prepared various activities in severs to help you to dominate the in-game world. Wonderful activities, fantastic gifts are waiting for your participation! Join us quickly and gain more surprises and friends! A war has been brewing for a long time, this storm is coming very soon with an incredible power. Thrww Tribes will have to battle to choose the winner. Who will be the king of this Wartopia? In the Wartopia event, you will fight for yourself and for your server. Obtain rewards and resources for you and your server and join the Dragon Boss and steal the Goddess of the other teams! There’s a lot to do in Wartopia, will you be the one to receive the precious rewards relating to Dragonchants and Artifact ? See you in two days when Wartopia begins! #NewServer Server 600 Wartune's No.600 Server is open today! Launch Time: 05:00, 16th August, 2018(PDT) To celebrate the launch of Server 600, Wartune Team has already prepared various activities in severs to help you to dominate the in-game world. Wonderful activities, fantastic gifts are waiting for your participation! Join us quickly and gain more surprises and friends! Wartune is 6 years old today! Isn’t that incredible? Congratulations to the Wartune team and to all the players that have been with us for 6 years! Say something to Wartune 6th Anniversary? Tell us in the comments below your wishes and blessings! Developer Jackson 1. Duration: From August 10th to August 16th. 2. Event Description: "Hello, everyone. My name is Jackson. I'm a developer working in Wartune! I was going to join our 6th anniversary party... but I was stopped in the Zodiac Palace. I don't have much time! Guys, please help me!" 3. Rules: I. Players must have one of the following Mounts. Nine-tailed Fox Emerald Hippo Lionbot Ancient Hovercraft White Fang Laser-Eyed Squirrel Psychedelic Raccoon Eagle Guardian Nightfall Emissary Fire Hawk Oriental Pangolin Mech Rhino Maniacal Rocket II. Challenge the Dungeon Zodiac Palace #7-#12. III. Players need to post a screen shot of them riding their Mounts' and a screen shot of the Dungeon Clearance in the Facebook comments. #NewServer Server 599 Launch Time: 05:00, 9th August, 2018(PDT) To celebrate the launch of Server 599, Wartune Team has already prepared various activities in severs to help you to dominate the in-game world. Wonderful activities, fantastic gifts are waiting for your participation! Join us quickly and gain more surprises and friends! Mounts are the most loyal partners, and they want to show their gratitude for the masters that have been taking care for them and fighting side by side during 6 years. So we hired a special Mount translator to see what they have to say! Dear Heroes, we are sorry for the post we shared yesterday which stated that there were only special activities for the coming servers: 599, 600 and 601. We always keep in mind that Wartune is successful because of your support during the last 6 years and we want to show our gratitude in the coming 6th Anniversary. So we will have special events for all the servers to all players, the old and the new. Thank you for you of your support during these years and we will keep working on a better experience for you. The ceremony of the 6th Anniversary is coming very soon! The Wartune is finishing all the details of this party! Take a look at the picture to see a little bit of it! Also, to celebrate the upcoming server 600, we will list the servers 599, 600 and 601 as special servers with exclusive events only for them. Stay tuned to our Facebook to know more about the anniversary! Like the post to let us know you like the 6th Anniversary Logo. #Survey Dear Lords, Version 8.0 has been online for a few days. We'd like to know which features you like best, so please fill in this survey. Thank you for your support! Enjoy the game! Link: https://goo.gl/forms/gP7DTKj4ZTGAQVRQ2 #NewServer Server 598 Launch Time: 05:00, 2nd August, 2018(PDT) To celebrate the launch of Server 598, Wartune Team has already prepared various activities in severs to help you to dominate the in-game world. Wonderful activities, fantastic gifts are waiting for your participation! Join us quickly and gain more surprises and friends! Bye, July. Hello August! And, also, happy birthday Wartune! Be prepared for Watune’s 6th Anniversary! Lots of events, rewards, mounts, fashion and celebrations are waiting for you. Join the party! Wartune will be 6 years old this August! Isn’t it incredible? We created a special logo to commemorate all these years together. Also, you will be able to enjoy a Title to celebrate Wartune’s anniversary in the game! Join Watune’s 6th Anniversary events and win this special title! To get more information about the 6th Anniversay, follow our Facebook page! Mounts are your most loyal comrades in Wartune. In the past 5 years, many different Mounts have been launched in Wartune! Some of them are cute, some of them are powerful... yet all of them are a great help! Tell us by clicking emotion which one of the Mounts you see in the picture is the most interesting one. New Server Wartune is going to open a new server: Server 597 New Server brings New Events https://goo.gl/PhkRo8 Check it out if you're looking for a new adventure! Opening Time: 05:00am, July 26th, 2018 (PDT) Thank you for your support! Wartune V4.5 is launch: dungeon "Narrandera Remains" finally arrives. Time to fight with the monsters and claim your rewards! Proficient City Ltd is an online game company including development and operation. 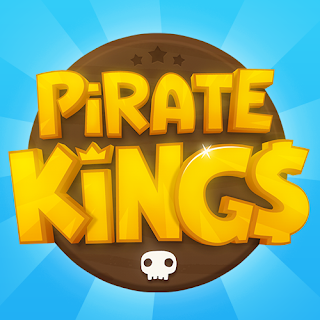 It is a leading destination for free-to-play online multiplayer games, with a rapidly growing community core players and a deep portfolio of development partners. Most of the company's managers had held important positions in major news sites, traditional media, gaming enterprises, financial institutions, legal institution, which are beneficial to marketing and the using of internet. Furthermore, they are from different countries - Asia, America, Europe, knowing better of global markets and culture. To create fun and unique virtual game worlds which are graphically impressive yet playable in a broswer.